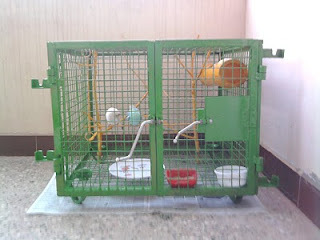 The newly painted cage for my pets is ready and they occupied it. We kept a bamboo with hole in the center to ease them to build a nest. Now they are busy building the nest. The male can't get to the bamboo easily. It takes a long path by climbing through the cage. But she ease her way to bamboo flying directly. He picks the husk from the grains and starts accumulating it inside the bamboo. I go thru' the internet to find info about their nest, hatching eggs and chicks. One suggestion given is to put shredded paper towels in the nest to make it cosy. So I put some in the bamboo. out immediately. So naughty and independent. 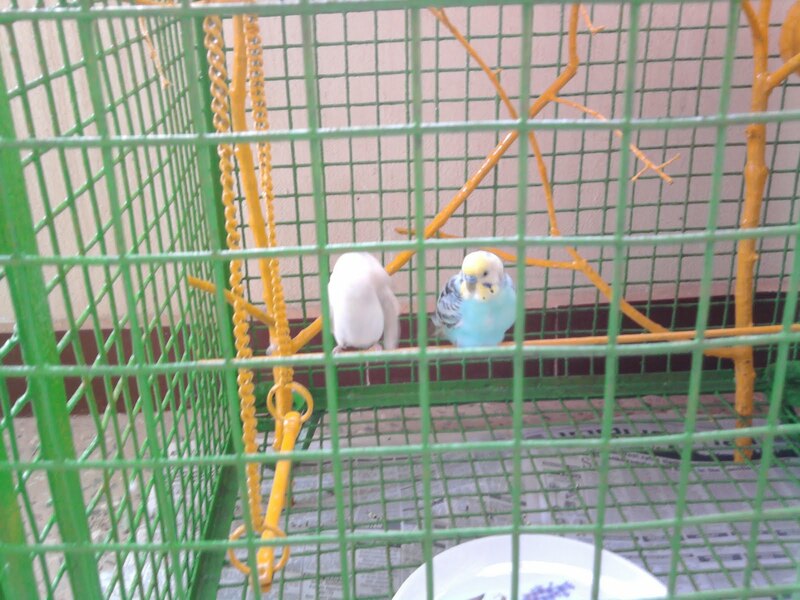 Now she fluffs and sheds the feathers all over the cage. 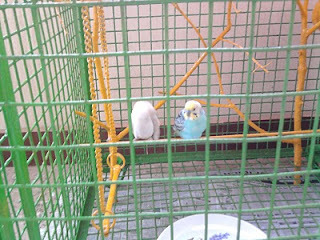 I shifted the cage to the far corner of the verandah so that the feathers won't come into the house.